When No One is Watching by Joseph Hayes is about a politician who is in a deadly accident and blames it on his friend who was in the car at the time but was too drunk to realize what really happened. The story follows the two as they go through life, and we see how the accident changes both of them profoundly. Read my review. In Blood of My Brother by James Lepore: Jay Cassio and Dan Del Colliano have been best friends since childhood, when they met while growing up in a tough neighborhood in Newark, New Jersey. Throughout their lives, Dan was there for Jay, protecting him from kids on the street, and supporting him when he lost his parents. But when Dan is murdered, and his death appears to be linked to the death of Jay's client and her husband, Jay is the one who has to step up and take the lead to bring the murderer to justice. Read the rest of my review. In Saving Max by Antoinette van Heugten: Danielle's autistic son Max has always presented a bit of a challenge to his single mother, but they've always had a close relationship. Now that he's a teenager, things are getting more difficult. So she decides to bring him to the best pediatric psychiatric facility for evaluation and diagnosis. But instead of making things more clear, Max's admittance to Maitland seems to make things worse. Danielle doesn't believe the staff when they tell her about his behavior, and they think she's in denial. Then Max is found next to a murdered patient. Read the rest of my review. Little Bee by Chris Cleave is more difficult to describe. It's basically about a Nigerian girl who meets an American couple on a beach and then they are brought back together two years later. The story is disturbing, but very moving. Read my review. Complete the form below. I will choose two winners using random.org. The first winner will get their preferred prize package. The second winner will get the other prize package, unless they have said they don't want it. In that case, a new second winner will be drawn. This contest is open to those with US or Canadian addresses only. 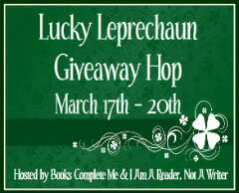 Contest is open until midnight Eastern time on March 20th. The winners will be announced on March 21. Thanks for the follow and I have followed you back. I noticed your reading Serena by Ron Rash. It is one of my all time favorite books. I love dark female characters... Serena is the best.